The laborious, uneconomical process of sequencing DNA molecules - a technology used to identify, diagnose, and perhaps find treatments for diseases - could become much faster and cheaper thanks to a new nanofabrication technique that exploits nano-sized air-gaps, or nanocracks, in electrically conductive materials. A doctoral student in Micro and Nanosystems at KTH, Valentin Dubois, presented the new method in his dissertation, explaining that the results offer a potential alternative to existing optical DNA sequencing processes, which depend on bulky, costly equipment. The research was done in partnership with his supervisors. Our method can, in principle, enable the development of DNA sequencers consisting of a simple USB-connected docking station, in a size equivalent to a small smartphone, costing less than €100. And anyone could use it without any special training. Hopefully, it will be possible to determine a person's genetic makeup in less than an hour, instead of days, as is the case nowadays. Nanogap electrodes, essentially a pair of electrodes having a nanometer-sized gap between them, are gaining attention as scaffolds to explore, sense, or harness the smallest stable structures located in nature: molecules. 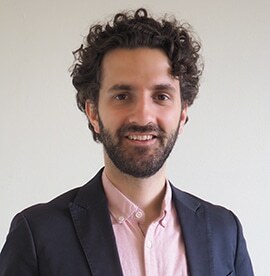 In his dissertation Crack-junctions: Linking the gap between nano electronics and giga manufacturing, Valentin Dubois explains how to apply the exceptional properties of nanocracks in electrically conductive materials as a new means of forming electrode pairs possessing nanometer-wide air gaps. The scientists demonstrated that their method could create a type of electrical nanostructure known as tunneling junction, which requires the tiniest air gap, in the order of a few single nanometers. Furthermore, the dimensions of an air gap produced by cracking can be regulated using conventional microfabrication technology. “That's what really differentiates our technology from other work in the field, which cannot easily control the width of the cracks that are formed,” Dubois says. The technology is not only able to create the tiniest air gaps, but does so in a scalable manner—allowing millions of them to be produced in parallel, he says. After receiving his PhD, Dubois will be working fully with DNA technologies as a Wallenberg Postdoctoral Fellow at the Broad Institute in Boston.